We are very excited to announce Together Freedom’s partnership with Strike Out Slavery! 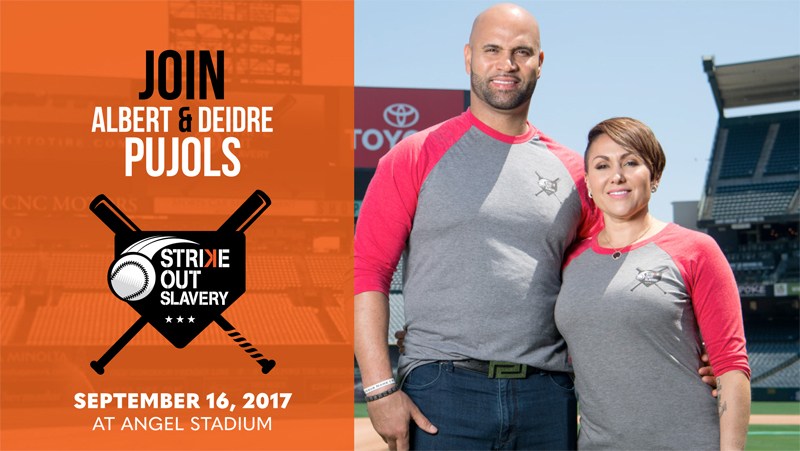 Strike Out Slavery was created by Albert and Deidre Pujols with the goal of raising awareness about the existence of modern-day slavery and raising funds for major organizations fighting this insidious crime. Together Freedom will also be hosting a booth at Strike Out Slavery’s event on September 16, 2017 at Angel Stadium in Anaheim, CA. For more information on attending the event, or to enter to win the Ultimate Fan Experience, please visit www.strikeoutslavery.com. For just $10, you can join the fight to end modern-day slavery!